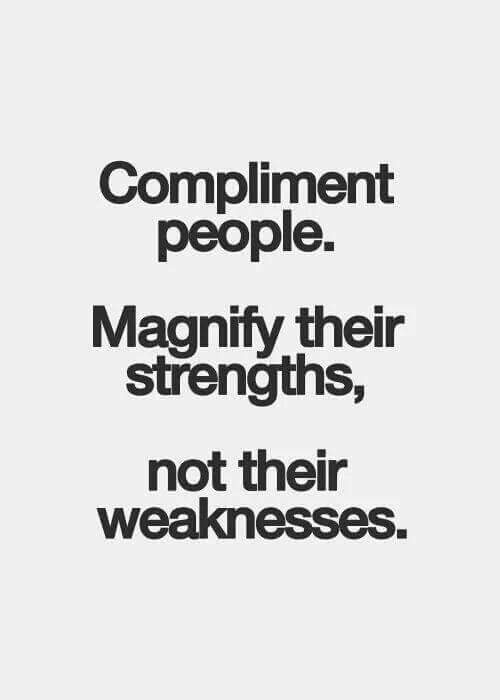 I find it so easy for us to look at someone else’s weakness and tear them down; instead of focusing on their strengths and building them up. Why do you think that is? Personally, I believe it is because of our own insecurities. We do not want others to see our weaknesses so we focus on someone else’s. When you think about it, that is a weakness in itself. You are sitting there tearing down someone else to try and look better but in reality, you are actually weaker than you assume they are. We need to change the way we view things and others. We need to think before we speak. Before anyone goes to criticize someone, think of the good characteristics of that individual and compliment them on that. Shine light on their strengths. Encourage them, uplift them, you probably have no idea what is going on in their life. Let me tell you, we are all our worst critics. So imagine someone who has already been beating themselves up and then you come along to throw more shade. Put yourself in their shoes. What if that was you? How would you feel? Truthfully! How would that make you feel? It doesn’t feel good when you are in a moment of low self-esteem and you have others adding their negativity on top of yours. This entry was posted in Blog, Encouraging, Writing and tagged strength. Bookmark the permalink. ι αgяєє αи∂ ∂σит ωαιт fσя ѕσмєσмє тσ αѕк fσя нєℓρ. мαиу тιмєѕ ωє ωιℓℓ ѕєє ѕσмєσиє αи∂ киσω тнєу αяє gσιиg тняσυgн ιт вυт ωσит ρяσνι∂є αиу ѕυρρσят. ωє ѕнσυℓ∂ вє мσяє ιи¢ℓιиє∂ тσ ρυℓℓ єα¢н σтнєя υρ ωιтнσυт вєιиg αѕкє∂ тσ ∂σ ѕσ. Absolutely! Especially as women! Women need to stand up for each other and stick together!